Moje kwalifikacje: magister informatyki (tytuł pracy magisterskiej: Mechanizmy i środki bezpieczeństwa w sieci Internet), starszy programista, 19 lat doświadczenia zawodowego. Proszę o kontakt jeśli są Państwo zainteresowani współpracą. Proszę o kontakt jeśli chcą Państwo wykorzystać moje rozwiązania informatyczne. Jestem niezależnym programistą. Oferuję wysokiej jakości produkty i usługi programistyczne. Jestem magistrem informatyki (tytuł pracy magisterskiej: Mechanizmy i środki bezpieczeństwa w sieci Internet) i mam 19 lat doświadczenia zawodowego w wielu międzynarodowych projektach. Specjalizuję się w programowaniu aplikacji, stron internetowych i baz danych. Tomasz has been working for many years in our company and we cannot mention enough thanks to him for his dedication and professionalism. Tomasz was leading a team of 5-6 C# developers and was also responsible for technical matters where our team had no solution for. We recommend Tomasz to all companies who are seeking a responsible, experienced and very good structured developer / project leader / CTO. I would not hesitate to recommend Tomasz to anyone. Wish I could clone him so I could hire them all ! I have worked with Tomasz for over 5 years. He has helped our company develop, maintain and improve our service portal for both internal and external functionality. His ability to take our ideas and requirements, and turn them into a live working application are second to none! Communication between our team and Tomasz is fast and painless. I would highly recommend Tomasz for any future application and database development project. Applications Engineering Manager at Wausau Equipment Company, Inc. 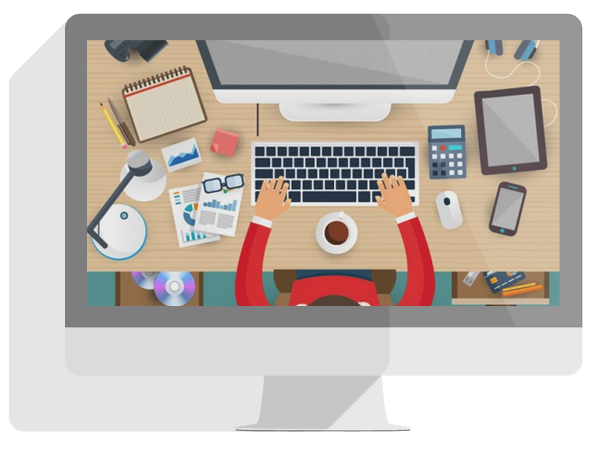 I have worked with Tomasz on a number of projects for Punter Southall Group, including both client-facing websites and internal web applications. Tomasz was instrumental in the redesign of a content management system for psigma.com allowing the easy uploading of news items and fund price data through a user-friendly interface, as well as building the site from the provided design. Tomasz's code is of a consistently high quality and he has proved an effective trouble-shooter on older, bugged applications, often resolving issues promptly where documentation has been poor to non-existent. This is the first time I have hired a programmer over the web and out of the country. I am more than impressed. Tomasz is the best programmer I have worked with to date. He delivered the finalized working program quicker than I thought could be done. He made changes not originally in my project with no questions asked. He also recommend a better way to implement my project keeping my authentication and token information secure. I will continue to hire him for all of my future projects. His rate was also more than fair. He is a true professional. Would definitely recommend Tomasz. Highly skilled, highly professional, very efficient. The second time I have hired this freelancer, again he has provided an excellent service. Prompt delivery of the project and fast replies to queries puts him head and shoulders above others on Elance. Go ahead and hire him in full confidence, you won't regret! We have been working in a team few years at BTC. He is open minded, well-organized and creative software developer. I can recommend him as a very good and competent professional. Proszę użyć poniższego formularza do złożenia zapytania o produkty lub usługi programistyczne. 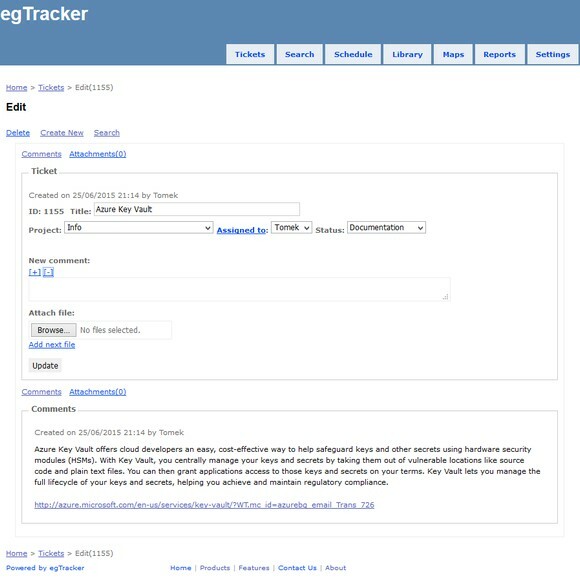 egTracker is a simple, fast, high quality, web-based issue tracker. Application uses cutting-edge technologies to process and manage business issues. egTracker provides knowledge base to improve efficiency and productivity in organizations. Please contact me if you need my help. Try out egTracker for yourself. Please contact me if you want to use my software solutions to improve your business.